The SBS fastener consists of a standard hexagon shaped nut or bolt and washer that includes a specially designed wedge integrated into it design. Once the bolt is tightened, the washer and bolt head fit together. 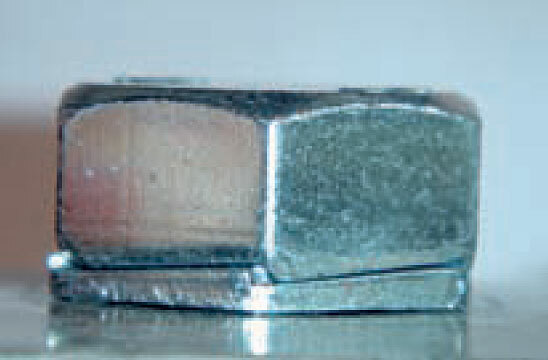 The nut or bolt cannot back off as its acts as a 'wedge' and will put a downward force onto the metal as it attempts to back off, due to the opposing wedges on the nut or bolt head and washers. Standard hex design for applications where removal with standard wrench is required. 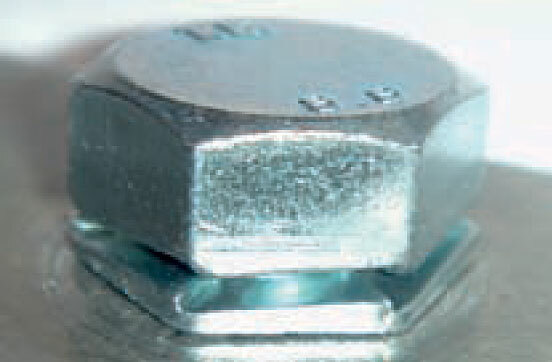 Round design requiring a special indexed socket for removal for tamper-proof applications. 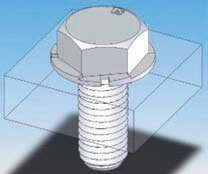 The SBS fastener consists of a bolt, two washers and a nut. Both the underside of the hex bolt head and the nut are designed with wedges which correspond with the wedges found on the washers. The wedges on the washer should be facing the wedges on the nut and bolt head and the flat part of the washer should be facing the surface of the material that is being fastened. Using a standard wrench or socket turn the bolt clockwise to tighten ensuring that the wrench or socket is engaged on both the bolt head and washers at the same time. Once the bolt and washer are tightened to the desired torque, remove wrench or socket from the washers and proceed to tighten the bolt head until the wedges on the bolt head sit flat up against the wedges on the washer. 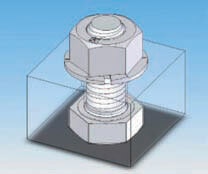 This ensures that the fastener is fully engaged.